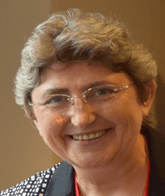 Professor Roumiana Tsenkova has pioneered the area of non-invasive disease diagnosis with near infrared spectroscopy and multivariate analysis. She and her groups at University of Ruse, Bulgaria and, since 1996, her group at Kobe University, Japan, have developed a series of sensors and algorithms for in-vivo, in-vitro diagnosis and for better understanding of mammary gland inflammation (mastitis) in cows and bacteria identification. In collaboration with other laboratories and Japanese companies, Prof. R. Tsenkova initiated development of new optical probes and methods for in-vivo diagnosis of stress (heavy metals, temperature, oxidation, etc.) in plants, cells, animals and different organ tissues. In 2005, Prof. R. Tsenkova proposed the new “omics” discipline called Aquaphotomics in an attempt to build up a database of water absorbance bands specific for each biological and aqueous system called aquaphotome and to use it as a holistic marker for diagnosis and characterization on a system level. In 2009, Prof. R. Tsenkova published 12 characteristic water bands found underneath the first overtone of the water vibrational spectrum to be activated in different combinations in various biological systems under different perturbations. With aquaphotomics, Prof. R. Tsenkova explains why very low concentrations of solutes in water could be measured with Near Infrared Spectroscopy, which was “impossible” from a traditional spectroscopy point of view. She introduced the term “water mirror approach”, as she proved that the water molecular network behaves as a matter and energy mirror for the rest of the biological or aqueous system. Prof. R. Tsenkova has written more than 23 chapters in books, 120 papers and 17 patent applications. She has been a Principle Investigator for more than 21 projects. She is the recipient of the Japanese Near Infrared Society Award for 1998 and the Tomas Hirshfeld International Near Infrared Spectroscopy Award for 2006. She is a member of the Editorial board of Japanese and International Journals.